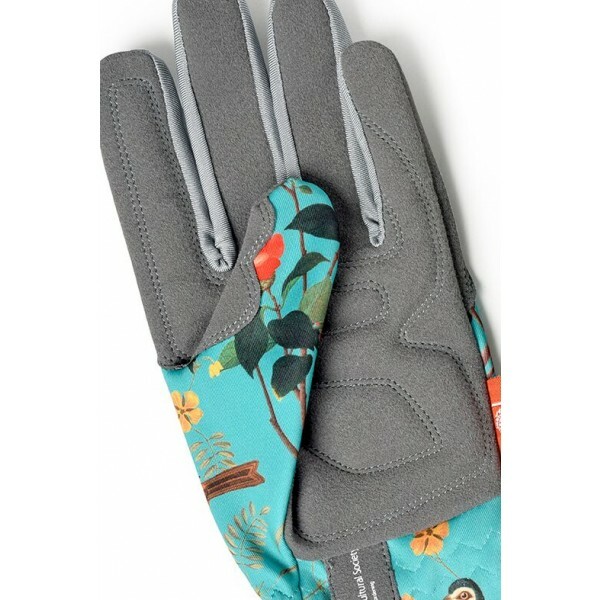 Soft, tough and hardwearing - machine washable and gorgeously printed gardeners gloves. Featuring a cushioned palm and gathered wrist for comfort and protection. One size fits (almost) all. 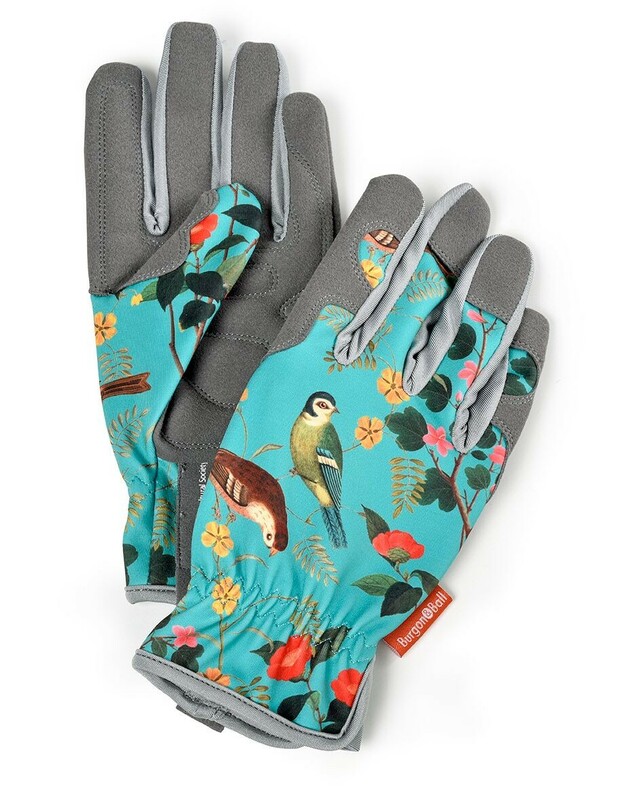 This lovely Flora and Fauna print can also be seen on the Kneelo Garden Kneeler, Twine in a tin and the truly delightful Trowel and Secateurs Gift Set. Please see the We Also Recommend tab above to view these items.